Feeling Shackled? Let's find the key that will unshackle your soul! Hello and Welcome! I'm Valerie Dubuc and I am a Certified Life Coach. I live in the suburbs of Dayton, Ohio with my husband of 19 years, our two teenage boys, and our dog, Charlie. If you want more out of life but don't know how to make it happen then let's talk. 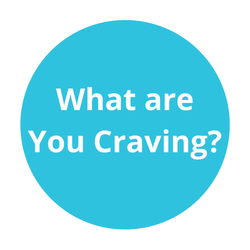 Whether you are clear on exactly what you want and just need support or you are floundering to figure it out, coaching is a powerful way to gain clarity and set the wheels in motion to create the life you crave. As a Certified Life Coach, I use my intuition, laser-focused listening skills, and even a little magic to help amazing people stuck in soul-sucking situations find the key they need to unshackle their soul. Are you ready to learn more? Contact me for a free consultation. I will help you get clear on exactly what you want and how to get it. Unsure what it's all about? 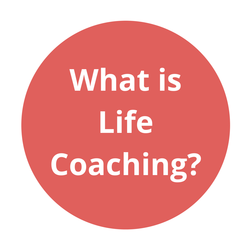 Life Coaching is all about YOU and what you want to achieve in your life. If an athelete wants to improve performance, they usually hire a coach. A life coach helps you get from where you are now to where you want to go, even if you are unsure of where that is! Your own mind, body, and spirit already have the answers you are seeking. My job is to help you untap them and bring them out, to help you set goals and hold you accountable. Think of me as your own personal cheerleader! It is not advice giving or telling you what to do. It allows you to see what is blocking you through a different lens. Sessions are usually done over the phone or via Skype which means no matter where you live, we can still connect. Subscribe to my newsletter today and receive "8 Tips to Banish the Sunday Night Blues" absolutely free!